Sold by the yard (36"L x 44"W) Fabric is uncut so multiple purchases will be shipped as one continuous piece. Sold by the yard (36"L x 43"W) Fabric is uncut so multiple purchases will be shipped as one continuous piece. Brand: Brother Sister Design Studio (Hobby Lobby) Year: 2013 (out of print) Material: 100% cotton Weight: 4.3 oz./sq. yd. 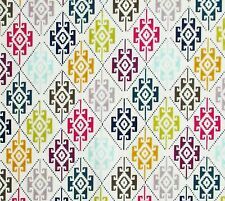 Sold by the half-yard (18"L x 44"W) Fabric is uncut so multiple purchases will be shipped as one continuous piece. 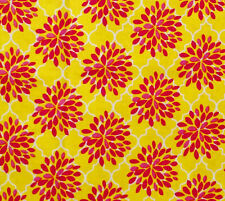 Sold by the half-yard (18"L x 43"W) Fabric is uncut so multiple purchases will be shipped as one continuous piece. Sold by the yard (36"L x 45"W) Fabric is uncut so multiple purchases will be shipped as one continuous piece. Brand: Brother Sister Design Studio (Hobby Lobby) Year: 2012 (out of print) Material: 100% cotton Weight: 4.3 oz./sq. yd. Sold by the yard (36"L x 44"W) Fabric is uncut so multiple purchases will be shipped as one continuous piece. Lady Gary Cotton Fabric Purple Indigo Pink Silver Pearl Brother Sister 35"Lx 43"
Brand: Brother Sister Design Studio (Hobby Lobby) Material: 100% cotton Year: 2014 Weight: 4.5 oz./sq. yd. Size: 35"L x 43"W.
Colorful Frogs School Numbers Letters Learning Cotton Fabric Panel 23" x 43"
Panel size: 23"L x 43"W .
This great print will work great for many kids’ quilting or sewing projects! 100% cotton, 44" wide x ONE yard long (will be cut continuous).